As promised I went to Heidi's on Wednesday afternoon to walk the doggies. But first Jan went to hospital for the echografy and blood sample, we'll now the result next week, when he will see his doctor. Because we were up so early, we bot took a catch up nap ;ater in the morning and I almost woke up too late for the doggies. Shows we both needed the extra sleep. I was rather lucky, that it stayed dry when I was walking with the diggies and they were happy tro be outside for a while. Yesterday we had a rather cold and grey day. I had to go out for a moment, but it almost felt like a day in beginning Fall! It was a big drop of temperature and about all day on and off a drizzling rain. But this morning it looks a lot different. Sun is shining, sky is blue, with just some clouds, temperature will go up steadily in the next few days, so all looks bright again. We will have a busy sport weekend to watch, of course there is the Giro(Italian cycling tour), tennis on Roland Garros, but most interesting for us the start of the Wold Championship Field hockey. We have high hopes for our teams, men and women, Hopefully they will meet our expectations! Weather is going to be fine, so that's already a thing to be happy with. This year the event is taking place in our town, lucky for us it's not too close from our area, so we will not notice a lot of the visitors. Then there are a lot of faires taking place too this weekend, so we will have to make a kind of schedule, if we don;t want to miss the matches on tv LOL. If the weather stays the way it looks now, we might have a couple of hours in the garden, probably on and off sitting on a chair, because you always see something to do when you sit in the chair! Always some dead flowerheads nee to be pinched off, which keeps a plant flowering for a longer time, then you see a spot that needs bit of change, so a swap of plants could help to make it look better etc. If you want to have a really relaxed moment in a chair, you should take a book or magazine, otherwise your eyes always see something to do! 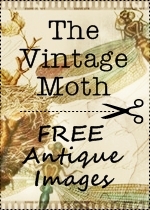 Before posting the new freebie I must give you the link to Linda's blog again, she made an awesome quickpage with the Breathless kit, and if you go there she could do with a little hello to cheer her up, because she isn;t feeling 100%, probably she caught a bug. 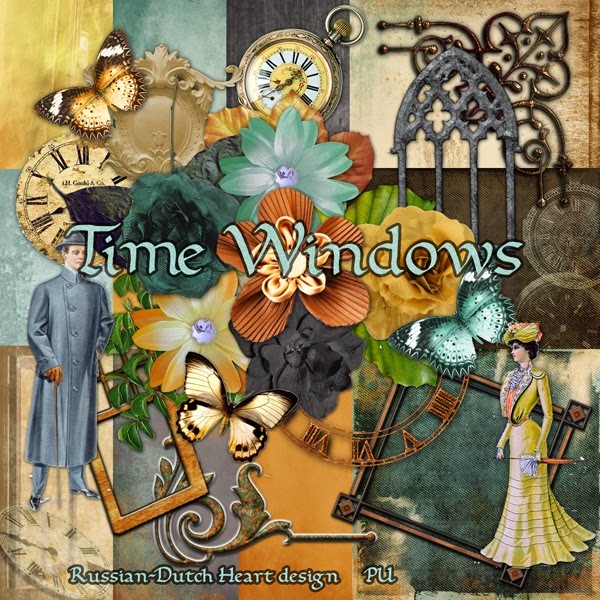 Today I have part one of the kit "Time Windows", think it's a versatile kit. Wishig you a magnificent weekend and see you again on Monday, hopefully with some good news of our hockey teams! Sorry for the shoutbox, that isn;t working for a couple of day.s I sent a mail to the support section, hopefully all will be fixed soon. Lots of rain at the moment. Last two days we had quite some rain, in some parts of the country they have to struggle to keep it dry! Just saw on the news that 15 pony's have been saved last night from a meadow, where the water was terribly high. Poor souls, all so very wet and sad looking, but they all have been brought to a shelter and safe. I got my part of the rain too yesterday, when I was shopping. I started dry, but about halfway rain poured down, so I arrived home dripping water. Oh, temperature was still nice enough, that already makes a difference, and a towel got me dry. I am up very early this morning cause Jan had to go to hospital for an echography of his belly, he has one every year, then next week he has an appointment with his doctor again. as we couldn;t do much in the garden these days, we worked a bit in the house. Jan was busy with the ceiling in our bedroom, where we had the last leak, and as he had to take all the bedding and matras off the bed to be able to put a ladder, I could vacuum clean everything well after he finished and then put on fresh bedsheets. I also cleaned up two of the cupboards in the kitchen, somewhere this week I will try to tackle one or two more. This afternoon I have to go to Heidi's house and take the doggies for a walk. she had to go somewhere today didn;t know when she would be home again. I don't mind doing it, I will just have to try to pick a dry period, between some rainshowers that are expected again today. Almost every late evening I go looking for snails, LOL, I have to say that till now there aren;t as many as last year, but we have to keep an eye on them! It's quite a tricky business walking around in the garden with a flashlight, I have to light well the way I go first, otherwise I might step unto a toad or frog! Every time it's a surprise walk, of how many of them I spot. Brodski often goes with me and always is interested when he sees a hopping frog, but most of the time he just looks and that's it. In between all those things I am also still busy with the knitting and finished a new kit and already started one too. may be I will be able to work on it some more today, I think I will have a crafty day. Probably Jan will take a good nap after he returned from the hospital, so all will be quiet for a while. 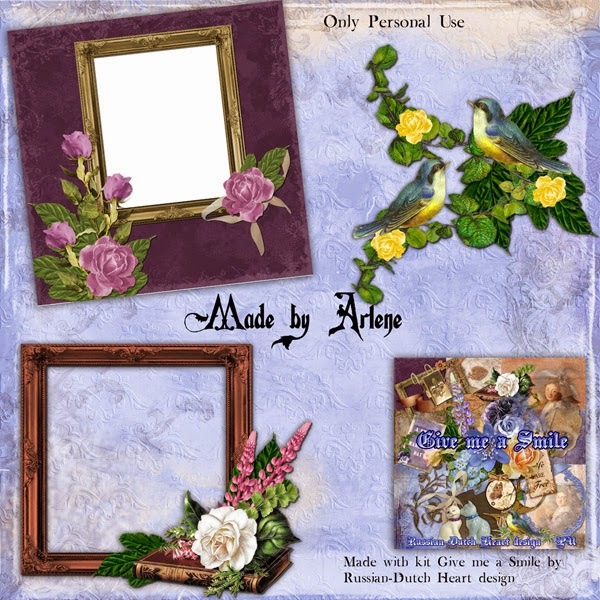 Today I have the add-on made by Arlene of the kit Where Dreams begin. She did an awesome job, you get a lovely page border, beautiful quickpage and a frame cluster. Yeah, we have a new little pond! It was a lovely weekend, I must say. Apart from the elections in the whole of europe for a new European Parliament of the European Union. I will not ramble much about it, but it is kind if destressing we hardly know the representatives in that Parliament, and we have all our doubts about the use of it. In basic the start of an European Union was good. Had to do with trade agreements, and such, but the Union has grown to big(as a lot of people think), also too quickly, and nobody knows or undderstands really what they do. Then lots of people think the European Union and parliament is messing too much in the national politics of the countries, froming the EU. It also is consuming lots of money(talking billions), and we could use that money for our own country at the moment, with still the crisis going on. And it is often so that decisions are kind of dictated by the bigger countries, most richer part of that EU, so is there really a democracy going on? I wonder if all the representatives still know what that word really means. Saturday Jan and I went to the market, it was a lovely day for it, and unfortunately a lot of people thought the same. It was real crowded. But even if it was kind of hard at times to find a way through the crowd we did find the things we wanted and best of all was we found a little plastic container that we could use as little pond in our garden, and now our frogs have a bit larger space to dwell in, yeah! It still isn't completely the perfect one, but I am already so happy we found a bigge one so I placed it yesterday . First had to dig out a few plants to make room for it, then dug in the container a bit and placed the plants back, some of them around the new pond. I even bought a little cold water plant for it, that might give a bit of extra oxygen and also will give the frogs opportunity to hid under. Plants around it still will have to grow some to hid a bit more of the edge of the container, but a start has been made. When I removed the old little pond 3 froggies jumped out of it, LOL, and found a hidigng place somewhere in the garden, but yesterday evening a froggy found the new pond and I will go and look today if more of them will be lodging there. I've made you a few photos of some of the already flowering plants, like my cleamtis, which has never been so full of buds as this year. Then an early rose bush started to flower with its small flowers, also full of buds and as it is standing a little bit more in the shade, it brightens up the space with the white flowering. I am so happy with our nasturtium, I just love that orange color, so I will take seeds from it later this year, to plant them again, it's worth the effort. And we also have some sweet peas that started flowering. Ididn;t know what color they were, (they were grown from seeds I got from Heidi) but they have a lovely dark red. Oh, I even did some ironing, yesterday morning, before I got dirty in the garden LOL. Later made us a potatoe salad, filled with of course potatoes, but also dices of cucumber, and apple in it, and capers and tiny bits of baked bacon, mixed with some olive oil and little bit of maynonnaise, pepper and salt. with that we had each half a roasted (small)chicken and then strawberries with some cream. Yummie! I have still some left over of the salad and a bit of chicken too, so I will mix the chicken into the salad, but perhaps also give a little hamburger with it and tadaaa, our diner will be ready quickly today! Have to do a laundry again, and after that is done I can change the bedsheets and give them a wash.
Also want to make the preview for a new kit I also finished this weekend and then upload it. Gosh, almost forgot, Friday I went to the annual checkup to the hospital for my lungs. Well, good news, nothing has changed on the photo they took of it, and values of all kind of things stayed about the same, so I was a happy girl, when I left the hospital. 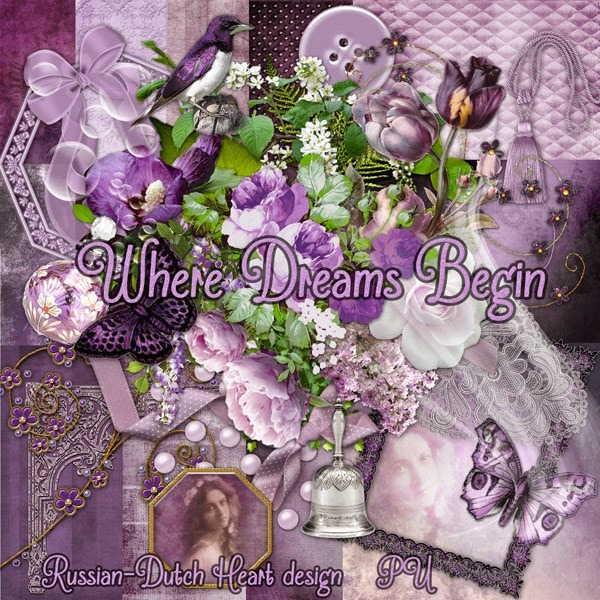 Well, I h=think it's about time to post the freebie, It's the second download of the kit "Where Dreams Begin", and Wednesday I will have the lovely add on from Arlene again. Sudden storm and harsh rain. Must hurry today, cause have to go this morning to the hospital for annual check up with the lung doctor. I suppose nothing will have changed a lot, so probably it will take more time to get there and wait than the time I will be in his room. Gosh, last Wednesday evening we suddenly had bad weather! First it started to rain, ojay, we can deal with that, but late evening we suddenly heard a "bang"and another one coming from the garden So Jan and went looking and we saw two containers lying on their side. There were a couple of very strong blasts of wind that did the trick. We don;t have a lot of light in the garden so in almost dark, Jan and I replaced the rather big pots back, but one of them lost half of the plants. We couldn;t put them back at that time, too much wind, not enough light and lots of rain. We were out for may be 10 minutes, but were almost soaked already. Next morning all was quiet again and wun was shining, so I took a look at the damage. We were still lucky, the container that lost some plants, dust missed a rose bush and a finaly growing seedling of sunflower, LOL. I could put back the container and found the missing plants(anemones that just started to bloom), put it all in good order again, and I think they will survuve. The other container had big lilies, nothing happened to them. So all together, not great dammage. And yesterday all was quiet again and we another lovely day, as we will have today too. May be only temperature will drop a bit, but we certainly can still live with it. During the day I did a bit of housework, cause of the appointment today and perhaps later a visit to the market, for some needed things. Have to finish now, I am still in my pyamas and it would be funny to go like this to the doctor, hmmm? I have a picture to share I made the other of our cat Brodski. He actually has his own chair on the terras. It's and old one, we found along the street, somebody didn;t need it anymore. Look how comfy and lazy he is sunbathing! Today a first part of a kit named "Where Dreams begin". It is looking a bit cloudy at the moment, but later on I think we will have sun again. The last few days we had absolutely gorgeaous weather. Up to yesterday evening, then we had some thunder, along with some lightning and afterwards a nice rainshower. Oh my, all the plants were dancing around of happiness LOL. I didn;t do too much these days, just a bit of on and off gardening(picking dead flowerheads, re-placing a few plants, etc) some reading in the sun, some shopping, a laundry but most spectacular was my visit to the hairdresser, FINALLY! I waited so long to do so, but my hair reached a point I couldn;t do anything anymore with it, so yesterday I had a haircut. And oh my, it felt and still feels so great again. I'll try to do some ironing today and may be I will have a quick visit to towns centre, Jan is running out a bit of his Chinese noodle soup, good excuse to go to the centre and perhaps do some window shopping( and may be I will have a great find of something LOL). Slowly I am progressing on my knitting, I tried a few different lace patterns, none of them really so complicated, but somehow it didn;t work, I ended up with a mistake and had to pull it out again. But now I started one that I will be able to finish and then I'll try again one of other ones again. Today and the next couple of days we still will have lovely weather, but with some more clouds, even some rainshwoers perhaps, and later this week the temperatures will drop some, so best to profit from the really nice weather today. With all that sunshine and now a bit of rain and sun again, you actually can see the plants grow day by day. My clematis has already several flowers open, a sweet pea started to flower, mt beans are climbing up rather fast, lilies have buts, little anemones will start to bloom perhaps already today, out frog population is growing, LOL, even the toad seems to have a little one, crawling through the garden. Can you tell we love our little garden??? then Friday I will have some new pictures of the garden, I guess. Guess what, I even started a new kit, hahaha, and I hope to do some work on it this morning, I only have one paper done, but it's a start. I think it will be a rather bright and colorful one. 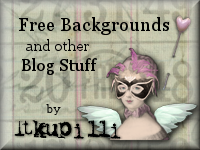 Okay, time to end this post, but after the photos there is of course a freebie, this time the add-on by Arlene, made with the Breathless kit. Again lovely work, specially the quickpage. Poor thing is dealing with a messy house at the moment, a room had to be renovated, first plastering then painting and new carpet, and then she will have a fantastic room again, where she can play on the computer and make all those beautiful things! Have a fantastic day and see you on Friday! Just love that row of primula's! and what about a more shady part, ground covered with all sorts of moss, and the sunlight playing through the trees, photo isn;t too bad, but doesn;t do complete justice to it. Seeing it with your own eyes, is even more beautiful. Just loved that reflection in the water. Visitor in the parc around the Japanese Garden. Just loved that house. Almost looks a bit like the house of Hans and Gretel, but it's much larger! Should be fantastic to live there, waking up every morning with the birds chirping, surrounded bu those wonderful trees, well, it specially looks good in spring and summer, but it looks lovely! We are having some gorgeous days and that started already end of last week. And what about some good news first before we start talking about the Japanese garden? Saturday often we get some bills in the mail( looks if companies and such just LOVE to spoil our weekends with it, hahaha), but this time it was rather a nice one. It was the annual settlement of the energy(gas and electricity), and yes. we get some money back from the monthly contribution we payed last year. Yeah, I can dig that kind of bills. And also they reuced the sum of the monthly amount. Now let's just hope it will not end up next year into paying extra again when we will receive the annual settlement. But for the moment it brough a smile to my face. We got up rather early, because we had planned to go to the park with the Japanese section in it and gosh, we really acted as we had planned! We first took the tram to town centre, and decided we as well could walk to the park then take a bus. We always could take it along the way But the weather was so nice, and the route to it also so why not take advantage of that beautiful weather? I think it took us about half an hour to arrive at the parc. It was so nice and relaxing to walk there, with all tress coevered in fresh green leaves, birds chirping, just wonderful. After perhaps 15 minutes we arrived at the lane leading to the Japanese garden. And already that was a treat. Along both sides there were so much different Rhododendron bushes, all flowering in all kind of colors. ( I am always a bit confused about the difference between Rhododendrons and Azaleas, so I looked it up, again, and here a little explanation. All azaleas are rhododendrons but not all rhododendrons are azaleas. Azaleas have been reclassified and are now in the genus Rhododendron. There are no clear cut lines for distinguishing all azaleas from all rhododendrons but here are a few characteristics to look for. The magnificent Japanese Garden in Clingendael Park is open to the public twice a year, in the spring and autumn. Admission is free. The Japanese Garden was created in the beginning of the 20th century by the former owner of the country estate of Clingendael, Marguérite M. Baroness van Brienen (1871-1939), also called Lady Daisy. Lady Daisy sailed off a number of times by ship to Japan and brought back to the Netherlands a number of lanterns, a water cask, sculptures, the pavilion, the little bridges and several plants. The original design with the serene pond, meandering brook and the winding pathways has remained intact all these years. The Municipality of The Hague has always taken great care of the Japanese Garden because of its uniqueness and tremendous historical value. The garden was placed on the list of national historical monuments in 2001. Due to its fragility, the garden can be visited only during a short period of the year. I made quite some photos so I will show a some today and will save some for next post. Here some pics of the lane leading towards the garden. Amazing how big some of them are. But some of the rhodo's are already there for decades. That;s all for now, but next post there will be more. We took our time in the rather small garden, because if you really want to enjoy it, you just have to pay attention to the details too. When done there, we took a walk through the parc around it, which is lovely too. After we spent a nice time there, it was about time to go home. Ahhhh, decision to make. Take the bus or walk first to centre of town? Well, we both were still rather fit, so we said"let;s walk". Very nice walk, because it is an area ofthe town, we don;t visit too often, beautiful houses there(expenxive too, oh yes! ), with some beautiful gardens around it, so an agreable walk to do. Naturally we overrated a bit our condition, LOL, so finally in centre of town, we first treated ourselves to a portion of french fries with mayonnaise, yummie. We found a bench to sit, so our legs could have a pause too. Then we "dragged"ourselves to the tram and went home. By that time I was kind of pooped out, but had such a satisfied feeling about the day, it didn;t matter. Wow. the couch felt good, probably too good, because I soon took a nap and a bit later Jan too and we didn;t wake up till around 18/30 a.m.!!! Who cares, we just needed that nap, and nobody was waiting for us in the evening. I do have to go out to get me some groceries, but that will be done quick, it looks to be another gorgeous day, so I want to take a bit of time to just sit in the garden, swallow in some sun, enjoying the little walk to see if there is a new bud opening , and how much some plants have grown in a day(yes, you actualle can see of some the difference in a day, believe it or not!). Then here the second part of the kit Breathless, of which I will have Arlene's clusters in the next post too. Oh and Linda already made a lovely quickpage too. I will have to keep it rather short today, because Jan and I will go actually to the Japanese Garden in a beautiful park. The "Japanese garden isn;t really very big, but I just know it will be beautiful. And if we still have energy we can take a bit of time walking in the park around it. Pity it is rather far away,so we first will take a part of the way the tram, (ours isn;t riding all the way to that area), and then we will walk the rest of the way. That will take about half an hour, or.......we could take a bus that stops not far from the parc. Depends a bit on how we feel I guess LOL. Best will be I think, to take the walk and then when we want to return home, we can take the bus and tram. Weather looks gorgeous for this walk, it is sunny with not too much wind, and temperatures should go up during the day to about 66 F ( 19 C). Lovely! Yesterdaymorning I had a quick visit from my friend Heidi, who brought me some Aquilegia, I had before but lost somehow. We had, of course, a quick look at my garden but then she had to leave for an appointment. 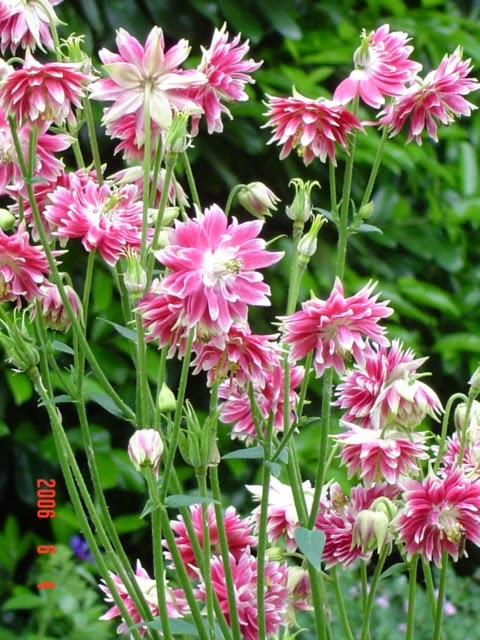 This Aquilegia is such a beautiful one, it has a double flower head, is about 80 cm hiegh full grown and in flowering, likes a place lightly shadowed(although they also do well in sunny spots). Wednesday, when i was shopping groceries I passed a flowershop that has a lot of garden plants and you know that always is dangerous! 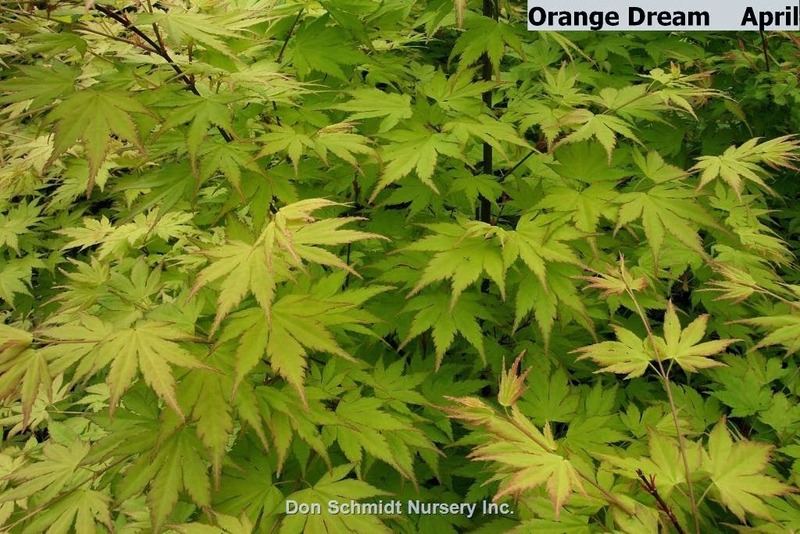 Most ot the times I can stay strong, also because they are selling for a bit higher prices than in a garden centre, but that day I saw they had small plants of the Japanese maple, of different variaties. I wanted to have for such a long time one of them, specially one that doesnt; grow into a tree but stays a bush. And there it was, calling out to me, and most lovely thing was that the price was real good! So yes, I took it home. 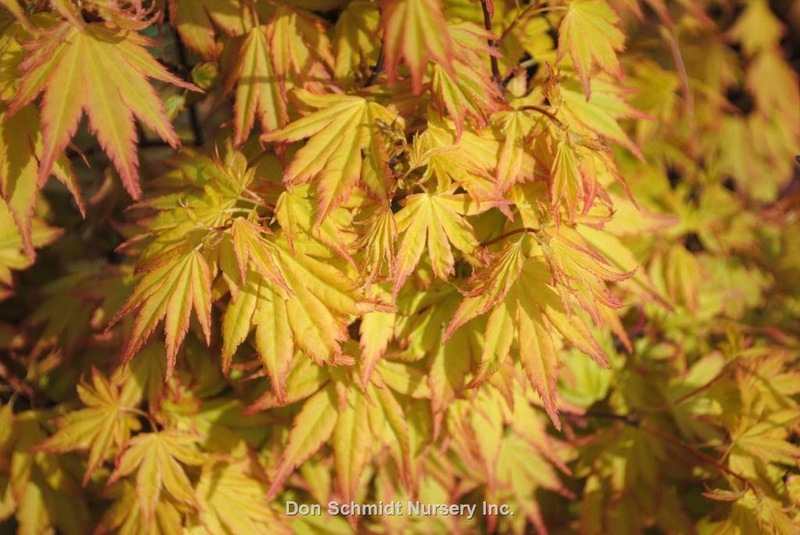 It is variaty named Acer Palmatum Orange Dream, I found you a pic of it on the net, first is the spring colors and second colors in fall. Isn;t it gorgeous??? So in the afternoon I was busy first digging out a big fern to make place for this beauty, (gosh, the fern was heavy, but I managed and found another good place for it) and then could plant the acer. I placed it not far from the little chair with the Buddha, thought it was fitting nice. Now it only will take some time, before it will reach a decent height and width. Now I must finish the post, and get into some clothes, put my camera on the table(otherwise I might forget it at the last moment) then wake up Jan, have something to eat and then I hoe we can leave. 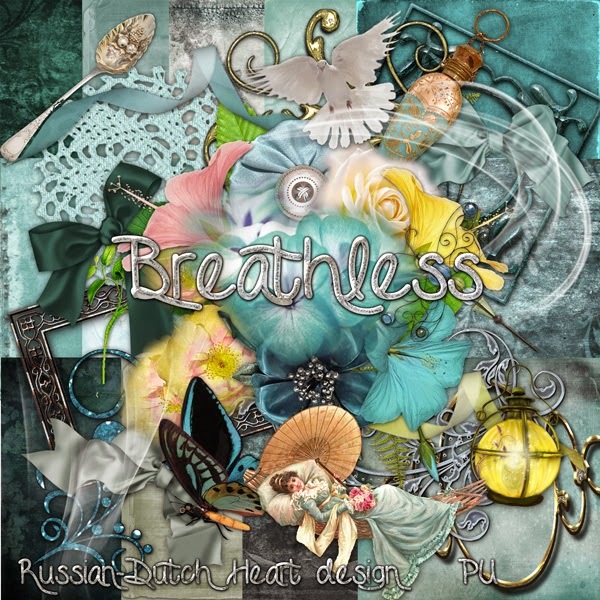 Freebie for today is a kit named Breathless, I splitted it into 2 downloads, so now you will have part one, next week second part and also beauties from Arlene! Need more space in my garden!!! Although temperatures have dropped, we have rather nice weather. After the rain in the weekend, sun is peeping through the clouds for longer periods. And as we are rathered sheltered in our garden, temps go up quickly and with not much wind it is just lovely there in the sun. So Jan and I did some gardening again yesterday. Lots of our seedlings are growing too big for their pots and had to be planted in the garden. Jan grew a lot of sunflower, from all sorts, from 40 cms to the highest of about 2,50 mtr!!! We'll have to see if all will come to full bloom, but.... we found places for them in the garden. Then more seedlings of our specious, like Malva, had to be planted out too. We even had to dig up a few plants and place them elsewhere, to create some space for all the new. And slowly are garden becomes rather crowded, if all come to full growth and bloom. So we could do with a bigger garden, but I am glad we haven't. This one is giving us already more than enough work( it always needs attention to keep it a bit nice). Every now and then we are encountering little froggies again, I suppose they are the children of the first ones we had. They have a couple of places where they can hide under some little stones, and almost every day we have lodgers in the tiny pond. As you can see, I even found time to make me another bloglayout. And I finished a kit and even started with another one. 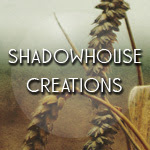 It's not going in a flash yet, but slowly I am getting into new desiging mood. I started a new knitting project, not really sure what the end result will become, but I am hping to make it a blanket or afghan. I threw myself onto a lace stitch, a little bit trickly, cause you have to keep a good count of the rows, but I have a piece of paper and a pencil next to me, just must not forget to put there a little stripe every time I finish a row LOL. Lace stitches look to be difficult when you first read the instructions, but after some rows, it's much easier than it seemed to be. Must say I am not into the most difficult pattern, mine has only 10 rows to repeat, but there are some beautiful ones that have 30 or even 40 rows to complete one pattern! What to do today? not all too much, have to do some grocerie shopping, and I hope to make some apple compote from the apples Jan brought home from the market. It isn't hard to do and even rather quick. But it has to be done and I hope to have enough to fill two pots with it for now. It tastes sooo much better when you make it yourself! 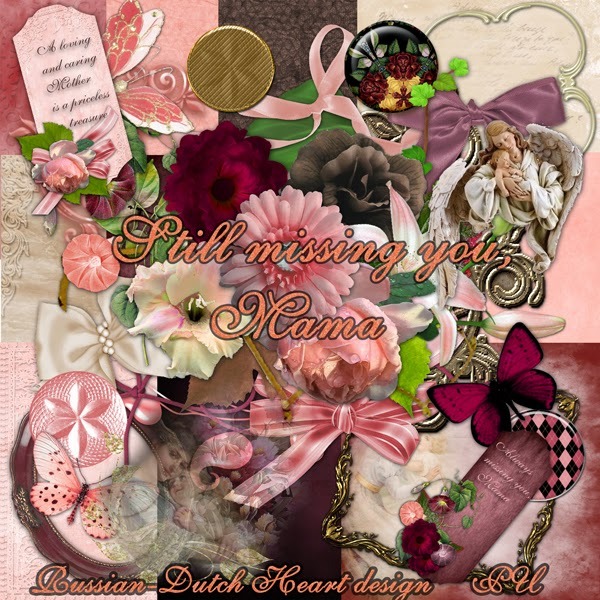 Today I have the quickpage and clusters from Arlene, made with the Still Missing you Mama kit. Going to work a bit on the new kit, and then have to get active! TADAAA!! My afghan is finished! Not too great weather at the moment. Lots of rainshowers, temperatures bit too low, so not a lot of garden time. But sometimes that isn;t too bad, cause we can do other things instead. Like on Friday, oh my, I was a busy little bee. After I posted on my blog, I stayed a bit longer at the computer, but then shut it down and jumped into some clothes. I had no plans of going out, although by then it still was acceptable weather. Jan decided to walk to the market and I was happy about it. I seem to be more productive when he is out of the way LOL. I already turned on the washing machine, and Jan out of the house, I started with the dust bunnies. And oh my, some of the wood of the furniture could do with some polishing, so I did that too. I looked at the front window and decided that the curtains looked a bit "tatty"so took them off and handwahsed them. When soaking in the sink, I cleaned the window too. Only the inside, because there was soo much wind outside, I thought it had to wait for another time. Then the laundry was ready, so I hanged that out, while the curtain was drying in the garden. Laundry done, th curtain was still dripping, so I took out the vacuum cleaner. The room done, I took the curtain and hanged it on the window. Oh, that was a much better sight, freash and crispy color again LOL. The did the rest of the house with the vacuum cleaner. I think I was really busy with all that for about 2 hours or so. By then I was a little bit pooped out but very happy. So I had a little tour in the garden, picking some dead flowers heads here and there, also have combed the cat( searching for some nasty flees, but there weren;t much, hoorray!) Brodski rather likes it and specially the "after treatment", when I comb him with a soft comb to get his fur nice and soft again. Then I thought I had done enough and sat down with a sandwich. By that time Jan came home again, with some aplles to make apple compote, and some vegetables and everybody was happy LOL. You can imagine that next day I took it a lot easier. Also the weather was worse, so I only went out for a moment to get us the newspaper and was happy to quickly return home, cause it was raining. In the evening we watched the Eurovision Song contest and imagine......... our contribution ended up as second! That was the best result for many years, and they did very well. The song of Austria, that won the contest was a real good one and a deserved winner. Yesterday I could finish the afghan, tadaa!!! Finally! It's on our couch now and I am quite happy with it. And yes, I;ve taken a photo of it. I very much like the lace tectured stitch on the right side of it. So now on to the next one, oh yes, I;ve started already. I just have to stay busy with my hands, specially in the evenings when watching tv. It helps to stay awake, LOL. As today still doesn;t look too good outside, I think we will stay in, doing a bit of this and that, may be later we will have a little bit of sun, but further on in the week weather will improve again, which will be a good thing. Some of our seedlings need to be planted out in the garden. Today I havet he second part of the kit "Still Missing you, Mama". 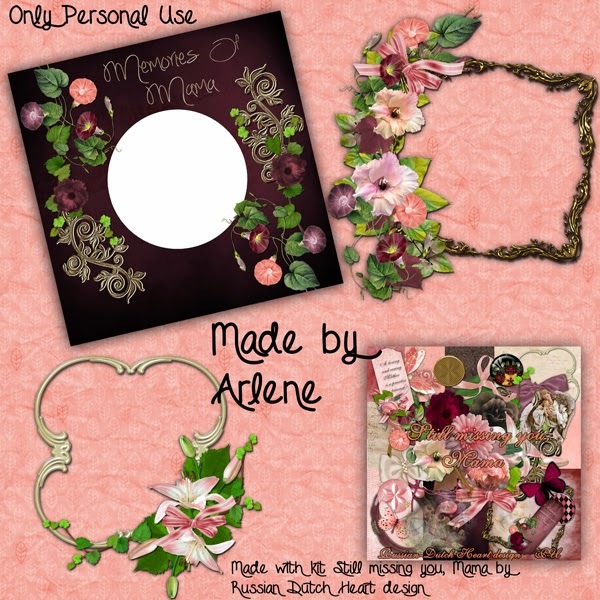 Wednesday I will have the add-on of Arlene, and oh, she made lovely frame clusters and a BEAUTIFUL quickpage! Linda made a lovely quickpage too, with the 1 st part of the kit, soft and tender, you'll just have to take a look! That's about all for now. I hope to finish another kit today, and also want to make a new bloglayout, it's about time for a change of that again. the word LAZY covers our week LOL! Yes, it is true, we are rather lazy this week. Somehow noting much comes out of our hands. I think it happens once in a while to all of us, and it's no shame, but it has to change soon again. I suppose it also has to do a bit with the weather change we have at the moment. Yesterday almost all day was gray and later on it started to rain. I know, I always say it's good for the garden, but it shouldn;t last all too long neither. I was thinking of going to the market perhaps today, but I fear that will not happen. Today the wind is blowing rather fierce and sky is grey and perhaps more rain will come. So not nice to be outside, and specially not for me with that hard wind, because it's no fun to walk around with one or two bricks in the pockets of my coat LOL! So instead I hope to do some laundry, ironing and vacuum cleaning, which is really necessary. Well, when I dive into it I can do it all in a short time and then we'll see what to do with the remaining time. I have my afghans waiting to be finished and the other to continue on, also a scrapbook kit that is almost ready, and a few other little projects I want to do in PSE. Yesterday we watched the other semi final of the Eurovision SOngcontest, and I have to say it was much less good than the 1 st one, which perhaps opens perspectives fo our Dutch singers. We also watched some darts( we have some very good Dutch darters in the Premier League, so it;s always interesting) and we have a couple of more "favourites"playing. After the Songcontest and a bit of darts, Jan put up a DVD recording of a film and it was such a nice one that it made me watch it till the end with result I went to bed very very late! It is perhaps not the most exciting film, but I really enjoyed it and we also had a couple of good laughs. Perhpas Jan and I have a ttrange sense of humor, but I think the characters were great and somehow you get "involved"with them. Here a summary of the film plus a link to a trailer of it. That's it for today, but I am not leaving without a freebie. I have a kit for you that suits this weekend holiday Mother's Day(well, at least Sunday it is the day here in The Netherlands). I will give you one part today, the second download next week. Kit is named "Still missing you Mama". I think I was a bit inspired by thinking of my mother, passed away already a long time ago(22 years! ), but I was lucky to have a real great mother and at times I still miss her, as well as I miss my father. It doesn;t matter what age you have, there will be always that "I miss you"feeling for our loved ones. But it brings also back a lot of good memories, and we should cherish them, that way the loved ones still stay with us in a way, deep down in our hearts. Some quiet days we had. I know I posted about our kitchen last time, and that perhaps the new floorcovering would be placed by Jan, but it still has to be done. It didn;t surprise me, you know, cause I saw he had some trouble with his back after the floor cleaning adventure. well, we have lived for a long time with just the wooden floor, so we can do that some more, and perhaps somewhere this week we can do the covering of it. Weather is changing a bit now, but the last two days we still could be in the garden and enjoy some sunshine, but now it is grey outside, lots more wind blowing, and I think we also will have some rain today. Temperatures dropped too and it will stay that way for the next few days. Yesterday I had a mail from Miny, that she welcomed a new baby in the family, named Benjamin. There are some beautiful things to see there , worth a visit. Whoopee, yesterday evening we watched the first semi final of the Eurovision soncontest 2014. And it was exciting because of the contribution of The Netherlands . We aren't doing so well in that songcontest, often even didn;t made it to the final, but we had good hopes this time. And yes, The Common Linnets made it to the final, which will be Saturday. I think it is a beautiful song, a bit out of the ordinairy too! I noticed that this year their are much more ballad kind of songs competing, which I don;t mind at all. Tomorrow evening will be the second semi final, and then we will see on Saturday how well The Netherlands will do there. Oh yes, I bought some more yarn I needed for the afghan I am working on, I just hope it will be enough to finish it. I must admit, that now I have started to knit blocks with different stitches with another yarn, I left the afghan aside for a moment, but I will continue on it somewhere today or this evening. It will take a few more days and also have to see if it is big enough. (I hope so, I am not tempted to make another long part for it LOL). Yes, I am sometimes capricious and not sticking to one thing at a time, which will do no harm, at the end all things will be finished, it just takes a bit more time, hahaha. Today I have as freebie the clusters from Arlene she made with the kit Give me Smile. Now have to get into some action, a few things I just need to do, so I wish you all a beautiful day and till Friday! I certainly got a good sleep, just woke up for a moment at night but went back to sleep again and oh whee, I did sleep sound and woke up late this morning. It's messing up a bit my schedule for today, not that I had planned a lot(LOL), but it makes the morning pass too quickly. We have Liberation day today, 5th of May we celebrate the liberation of the Germans in 1945. Yesterday was the day, we remember all the death of that aweful war, as also the death of later wars. We have a two minutes silcence at 20.00 o'clock, and it always gives me a shiver watching it at tv, when they play The Last Post and later our National Hymn. So today is a much happier day, and it looks to be a fine day, for the moment sun is shining bright. I don;t know if we will go out or stay home and have a bit of garden time. In the weekend we did sit and also worked a bit in the garden, which was so nice. Friday I did just a bit of shopping and when I came home I got a kind of shock LOL. Entering the hallway I saw standing a bucket and Jan busy in the kitchen, cleaning the kitchen floor. I admit it was neceassary, but on the other hand I was a bit angry with him, because it is too straining for his back and I know he had to pay for it in the evening and next day. Perhaps today he wants to put on the linoleum cover on the floor. It would give a different at the kitchen for sure. In the evenings I could knit again, watching the tv. But I had to wait with my throw over, because I ran out of yarn. And as a lot of shops are closed today, I will have to wait till tomorrow, and buy it. In the mean time I started knitting blocks with different patterns with some yarn-left over. I always have left overs from other projects I did, and it is a pity not to use it. If I will have the courage to make a LOT more blocks, may be it will turn into another afghan. Okay, I will finish now, and then jump into the bathroom to have a shower and then we;ll see what mischieve we can get into today. I have a kit for you, but will post the clusters from Arlene next time. 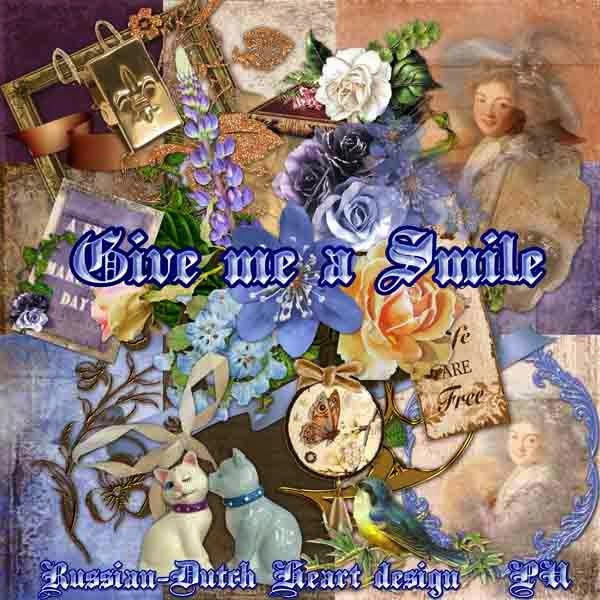 Kit is named "Give me a Smile". Still busy on my afghan. Last two days I did a few things around the house, although today still is waiting the vacuum cleaning and removing some dust bunnies LOL. And although the days are a bit cooler for mow, we still have sunshine and when it is shining and you can sit out of the wind it is great! In our part of the country we have so little rain at the moment, that we even have to water the garden every other day. I think Jan got the gardening virus almost completely now, he is looking after the seedlings and all of the garden like a mother hen, all the time coming up with suggestions where to plant them later on, hustling up a bit the plants that have a place already, re-creating a bit of space. I really have to slow him down sometimes, trying to ecplain to him, that plants also need a bit of rest to settle down, but I have to dose my "comments and advice"don't want to spoil his fun LOL. I am really preogressing on the afghan now, I already started to assemble the different parts together, one to go and then have to see if it's big enough for the couch. In vetween I started to knit also a border for it, I think that will make it look better. Then also looking around on different sites if I can find a nice afghan pattern for perhaps the next project, seen a couple, now only have to decide what color, or color combination. With all that going on, the garden, the house, search on internet, doing some shopping time passes quickly, and it effects a bit the kit designing. At the moment I am in a mood that is aweful! No, I am not grumpy, nothing like that,but I am talking about the designing. I start a kit, make a couple of papers(I usually start with the papers), look at it the next day and delete them again, I just don;t like them. So I start over again, and this is going on the last couple of weeks. Therefor you can imagine the production rate is rather low now ROFL. For a couple of weeks we will have a bit of mess at the street again, because the council is placing underground containers for collecting the garbage bags/. I wonder why they didn;t place them already while they were busy with the new water and gas pipes ? At that time they already made the places for the containers, but it took some months now before placing them. Perhaps I don;t understand the planning they do? 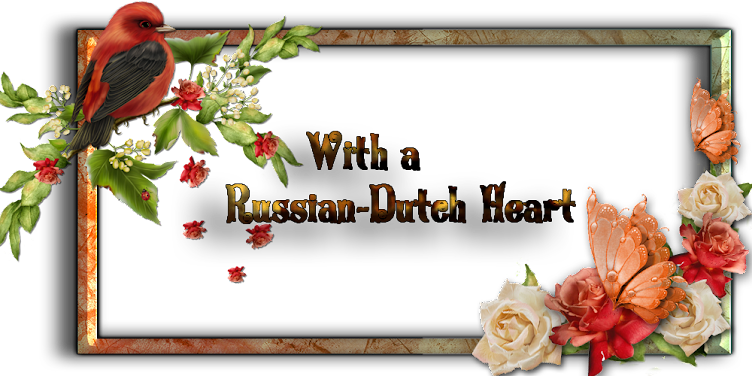 Okay, with that awesome interesting news, LOL, I will finish this post, I have to get busy soon. 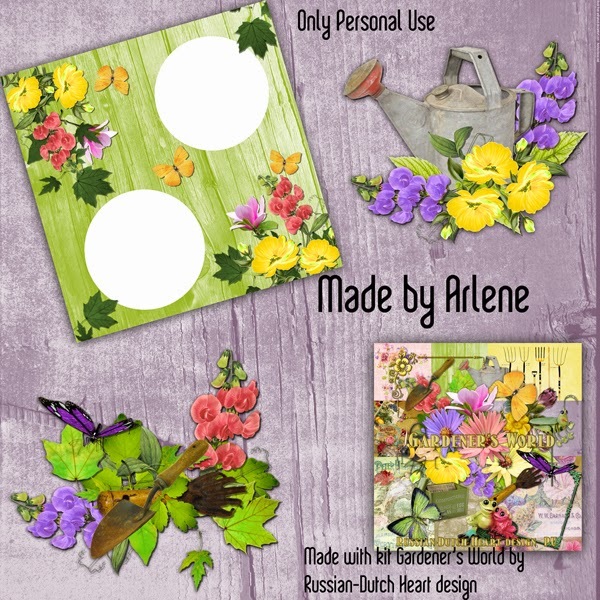 As I promised I have the clusters and quickpage for you from Arlene, made with the kit Gardener's World. Really lovely work she did. The weekend we might have not too good weather, even a bit "colder", but next week temps should rise again and sunshine will be our part. May be jan and I can go to a parc, where they have a section called "The Japanese Garden". It's only open for visitors a short time in Spring, so we cannot wait too long to visit. It's a beautiful place, really in Japanese style, with lots of tress that should flower, and little bridges over lovely little ponds. It's been a long time ago we were there, and I really like to o there, and it's a great place to take some fantastic photos. So cross fingers that next week there will be a day with sunshine, nice temperatures and not too much wind. Would be perfect. Have a wonderful weekend you all, thanks for your visits and comments, ALWAYS love to read them.